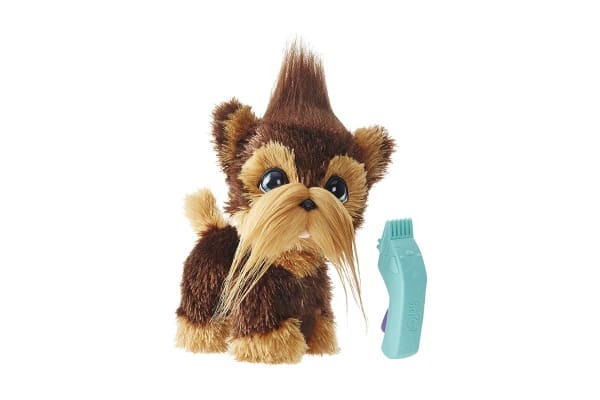 The Furreal Friends Shaggy Shawn pet is a cute canine in search of a new look! Kids can enjoy styling him over and over again with the help of a buzzer accessory that really buzzes! 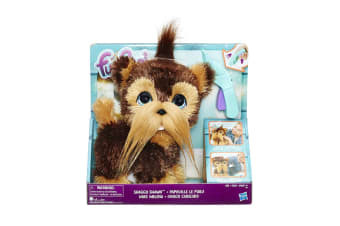 With the buzzer accessory, kids can create lots of different looks for their pet, the Furreal Friends Shaggy Shawn – the only limit is their imagination! As they gently press the accessory to the pup’s head, it makes fun buzzing sounds and vibrates and the pup makes happy sounds. Kids can pretend they’re pet groomers at a grooming salon. The Shaggy Shawn pet may be a client at a pretend grooming salon, but more than that, he’s a playful, loveable pup who’s always ready for a cuddle.